Fiduciary Shield | BidMoni, Inc. Advisors Get Started | Fiduciary Shield by BidMoni, Inc.
FiduciaryShield empowers advisors with automated analysis and fiduciary solutions. 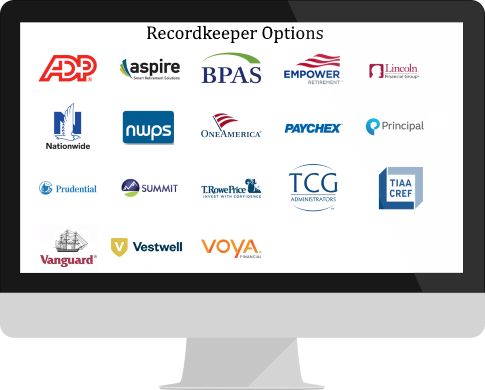 FiduciaryShield connects you with dozens of recognized recordkeepers for proposal requests. We connect you to the market and provide a simple platform to analyze and present proposals. Find the best retirement plan. Period. FiduciaryShield compares and ranks each individual component of your plan with proposals from an extensive group of plan providers, so you can be confident in the decisions you make. FiduciaryShield houses all of your plan documents in one place for easy review and comparison to your current or proposed plan. FiduciaryShield continues to monitor plans to help ensure the decisions made remain in the best interest of plan participants.